It's the end of summer here, and it's gone all grey and miserable to boot. Let's cheer things up by putting our Aberration Peacock colour flash faux dichroic plugs on special offer with over 20% off the usual web prices. We're also giving away a pair of these (or a pair of Aurora Borealis Blue faux dichroic plugs) from 8mm - 25mm over yonder on our Instagram. Simply regram the picture on the top-left and tag it with #lppotm1014 to enter. 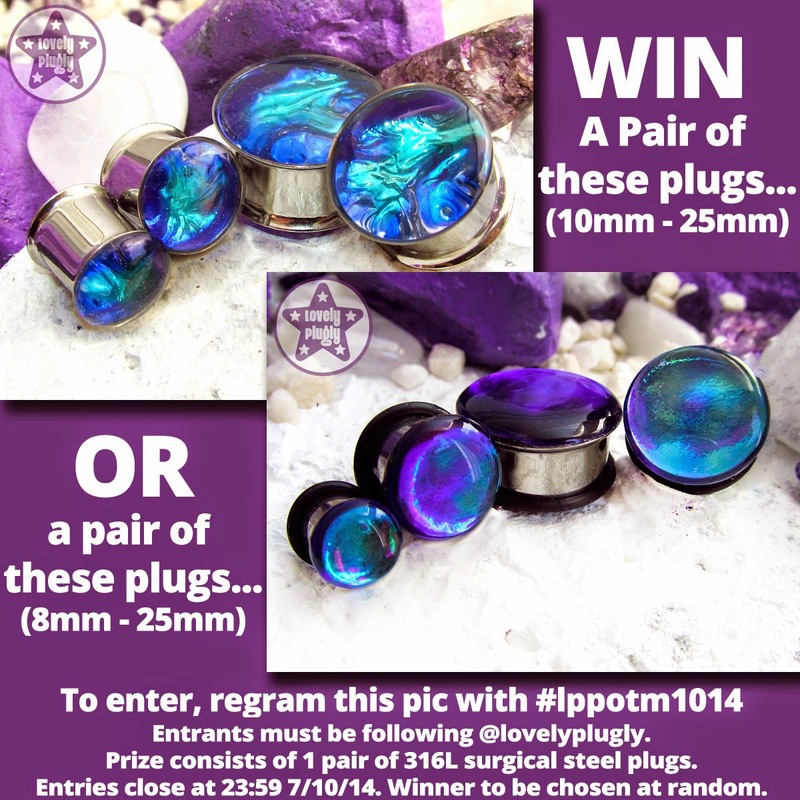 You must be following @lovelyplugly on Instagram for your entry to count as well. Entries close 23:59 7 October 2014, and we'll be randomly picking a winner (with the help of a random-number generator app) on the 8 October. Winners to be contacted and announced through Instagram.